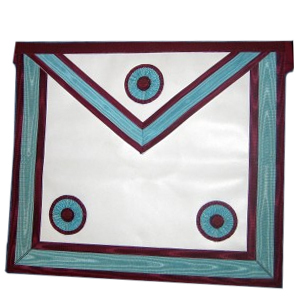 Members of the Mark degree wear aprons of white kid having a triangular flap, all bordered with ribbon of light blue with crimson edges. The ribbons bears three rosettes of similar colour. 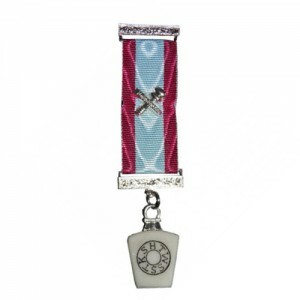 Masters and Past Masters have the rosettes replaced by silver levels. 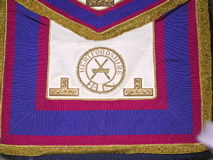 The breast jewel is an ivory (or other material) keystone having a silver lewis which is suspended from a one-inch silver bar by a ribbon in the same colours as the apron. Each face of the keystone bears certain characters, on the reverse in English and on the Obverse in Hebrew. 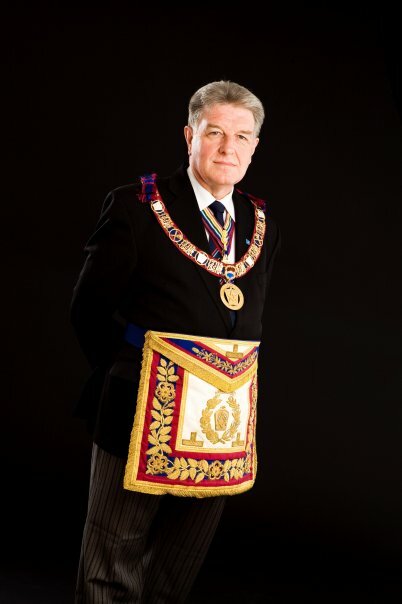 A Grand Officer’s regalia is identical in colouring to that of a provincial Grand Officer but the emblem of office is surrounded by a wreath of rose leaves and hyssop with three levels in gold. 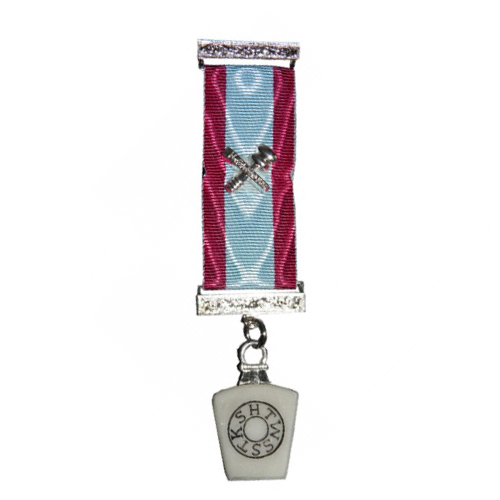 The collar is also three inches in width and is also decorated with rose leaves and hyssop. Again there are full-dress and undress sets of regalia.